In kindergarten, we had to draw one of those “When I grow up” pictures about our future career aspirations. I had no idea what any of this meant. Thus, scientist was my pulled-out-of-the-air answer. I drew a person with a lab coat and a bubbling test tube. In first grade, we learned about Picasso and other painters. He became my new idol. I loved cubism and the blue period. Around fourth grade, I started perusing self-help books around the house by authors like Dale Carnegie and Miles Munroe. I wanted to perpetuate the message of overcoming adversity and thriving. Doctor, lawyer, traditional careers. BORING. I wanted to create things, beautiful and functional things. By the time I was 11, I knew. I believe who you are as a child — your dreams and desires — these never change. They make up the real you. But the pressures of adulthood can blur your true identity and make you forget what originally brought you joy. Tapping into your childhood tastes will show what makes you tick. 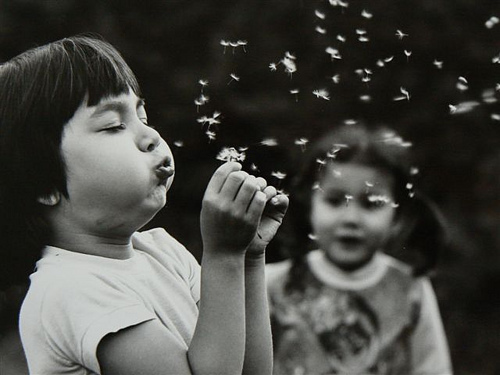 Your turn: as a child, what did you enjoy or aspire to? What did you see yourself doing in the future? This entry was posted in Art, Brilliant Ideas. Bookmark the permalink.